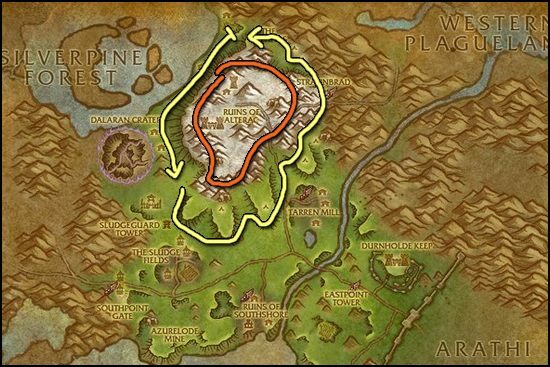 Alterac Mountains in Hillsbrad Foothills is simply the best place to mine Tin Ore. The place is marked with red on the map. If you run out of Veins, just do a lap around the mountains until they respawn. This place can be a bit harder to reach for lower level Alliance players because it's a horde zone. Northern Stranglethorn is a great alternative if you can't go to Hillsbrad for some reason, but I prefer Hillsbrad. 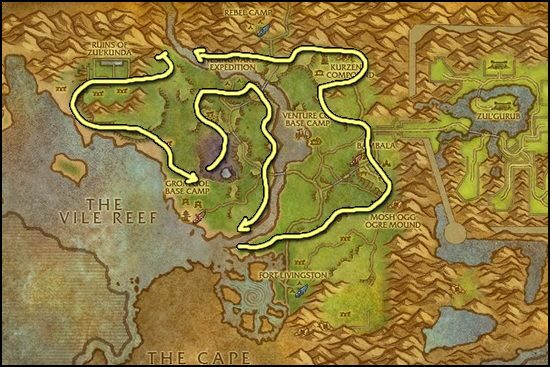 These are the best zones if you want to farm Tin Ore. Once you are done mining Tin, go to my Iron Ore Farming page to farm some Iron!